Norco Technologies have been in touch about their new DS-520 Home Server NAS Appliance which is a great looking piece of kit. Storage capacity is king. 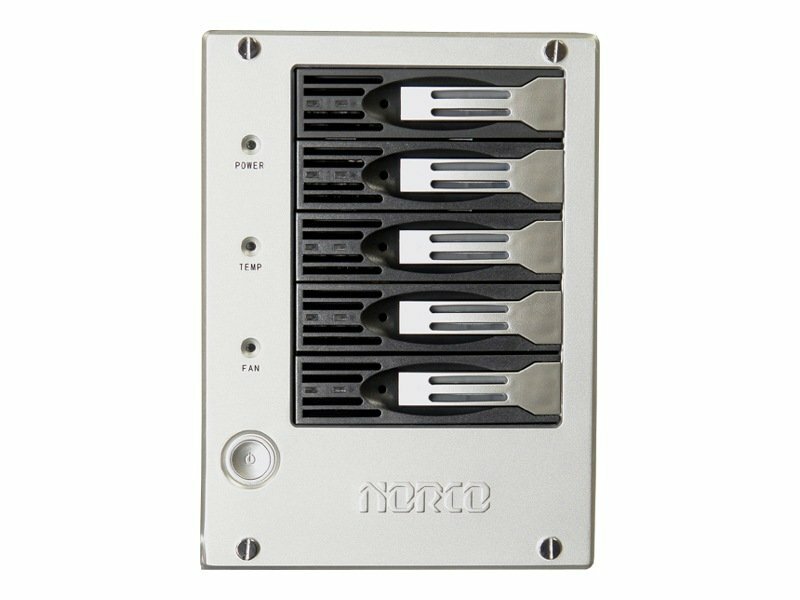 Five hot swappable SATA II drive bays, three eSATA connectors and four USB 2.0 ports provide eight individual SATA II channels, allowing for up to 8TB of storage space (using 1TB drives). Also added is a legacy IDE port for those of you with a IDE hard drive or optical unit. 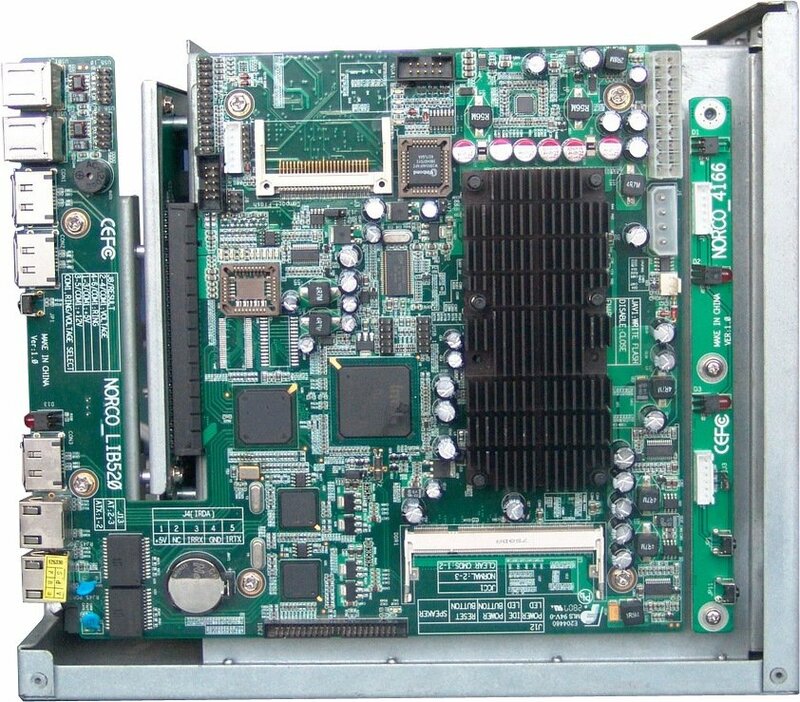 One DDR SODIMM Socket provides up to 1GB of RAM and network connectivity is handled by two built-in Ethernet ports. 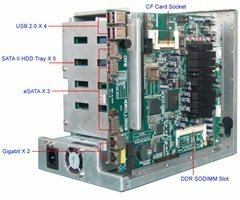 Available as two separate models the DS-520F provides Dual 10/100 Ethernet and a 600MHz Processor whilst the DS-520G has Dual Gigabit Ethernet and a 1GHz Processor. 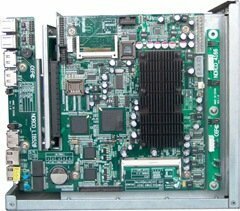 In both instances the processor is an Intel ULV Celeron M.
Although Microsoft’s minimum spec for Windows Home Server is a 1 GHz Pentium 3 (or equivalent), in reality this does not provide enough power when Home Server is doing two things at once like streaming media and copying files. In these circumstances I have found at least a 1.6GHz processor is needed and dual core is handy also. The package comes complete with the DS-520 home server appliance, Five SATA II drive trays, 3 adapter cables, screws for mounting the hard drives and a Utilities CD-ROM with User Manual. The Windows Home Server software and memory module are NOT included. The MSRP is $649. Perhaps a more cost effective solution would be this Chenbro ES34069. In not only includes 4 hotswap drive bays but also supports a slimline dvd drive, external power adapter, lockable frontdoor, IR and memory card reader. Thanks for the info on the Chenbro ES34069. I have added a post here. I also do like the Chenbro case a lot. I found a reseller and it’s listed at $268. 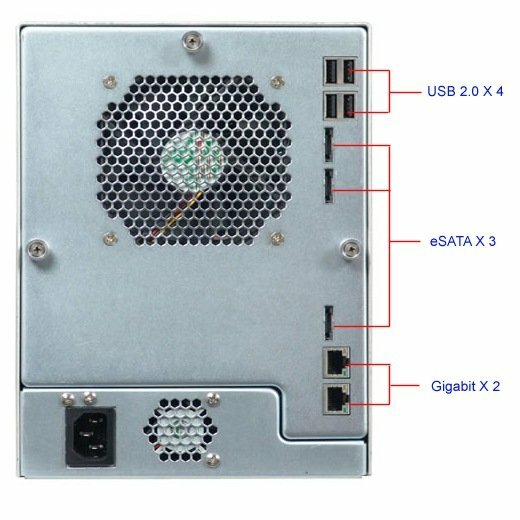 http://smartbuildingnet.com/webstore/shop/item.aspx?itemid=112. The Norco one might seem expensive, but you have to remember you’re getting an entire PC (minus RAM & OS) – not just the case. If you build your own with the Chenbro case, you’re looking at another $200+ for the motherboard, and you still have to buy the CPU and RAM – I can see it adding up quickly to roughly the same amount as the Norco DS-520G. 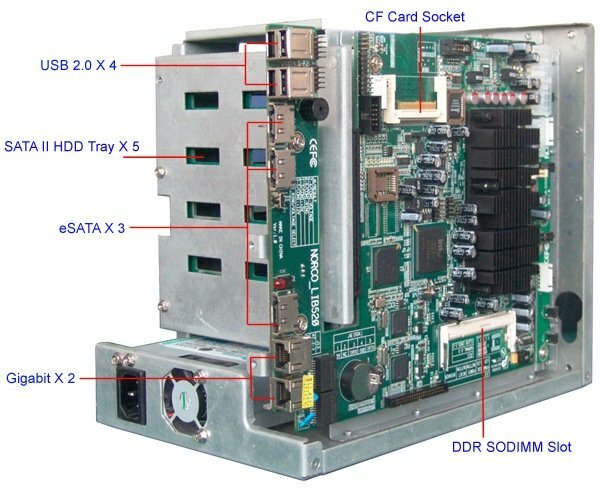 Have you seen any other cases designed to be a headless home server that aren’t incredibly expensive? Thanks for your comment. I personaly use the Cooler Master iTower 930. It may be a bit big for some, but its of excellent build and the front HDD hot-swap function is excellent and it can take standard ATX main boards as well. Hey Philip – just curious if you’re still liking the iTower 930 case? I’ve been holding out on making a decision. There aren’t many options available for what us WHS users want, so I just want to make sure I am happy with my decision. Also curious, do you use your WHS for anything else (e.g. Virtual Server)? I was just wondering why you went with the iTower 930 – if you needed the extra room for a higher spec’d system to run more than just WHS, or if you just liked the design (and maybe price?). Speaking of price, it’s hard to find the iTower 930. Do you mind saying where you purchased yours from? 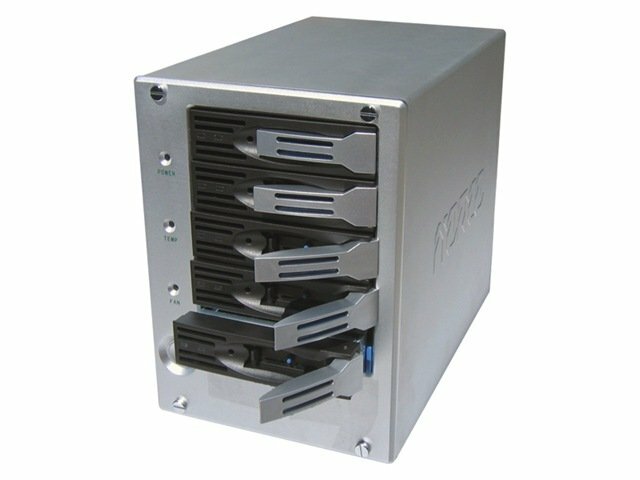 I chose the iTower 930 bacause I liked the way it could handle lots of hard drives and it looked like a server case (dont know why, really). I also liked the HDD hot-swap facility and the way the fan blows air directly over the hard drives. Being in the UK I ordered mine from Dabs. In the US Blue Bone PC have them in stock.